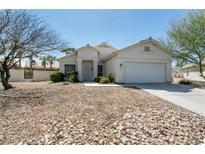 Below you can view all the homes for sale in the Cheyenne Ridge subdivision located in North Las Vegas Nevada. 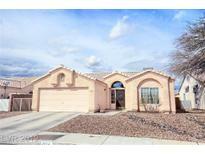 Listings in Cheyenne Ridge are updated daily from data we receive from the Las Vegas multiple listing service. To learn more about any of these homes or to receive custom notifications when a new property is listed for sale in Cheyenne Ridge, give us a call at 702-323-5963. Huge backyard w/dog run, sparkling pool w/NEW pool light. Low HOA. Don't MISS! MLS#2086730. Offerpad. Premium Corner Lot Set Up Higher Than Other Homes Allows For Beautiful Mountain Views. Potential Rv Parking. MLS#2086316. Realty ONE Group, Inc.
RV parking & upgraded almost new AC unit to boot! Start packing! 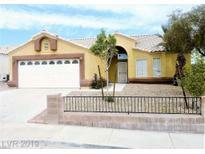 MLS#2080922. Rock Realty Group.